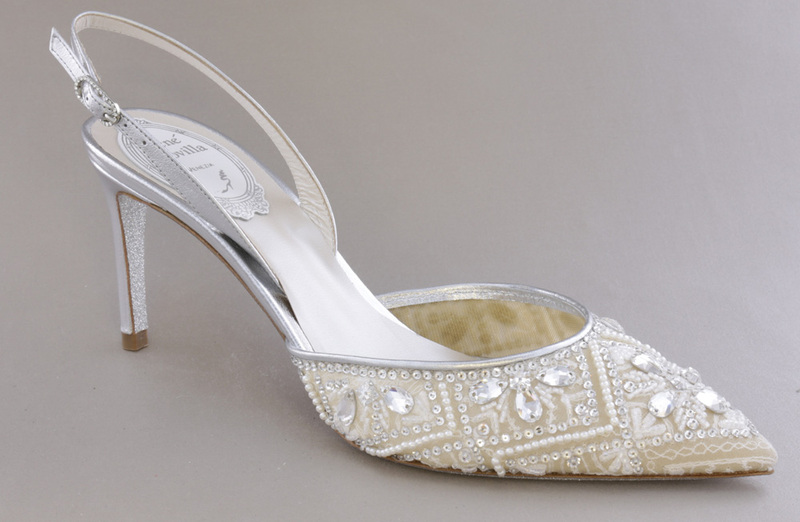 Brides who love meticulous design details will fall head over heels with the shoes that feature delicate white lace, sparkling crystals, rhinestones and silver-tone embroidery. Italian luxury shoe label Rene Caovilla has turned to Saudi fashion designer Razan Alazzouni to help in honouring their Middle Eastern customers. 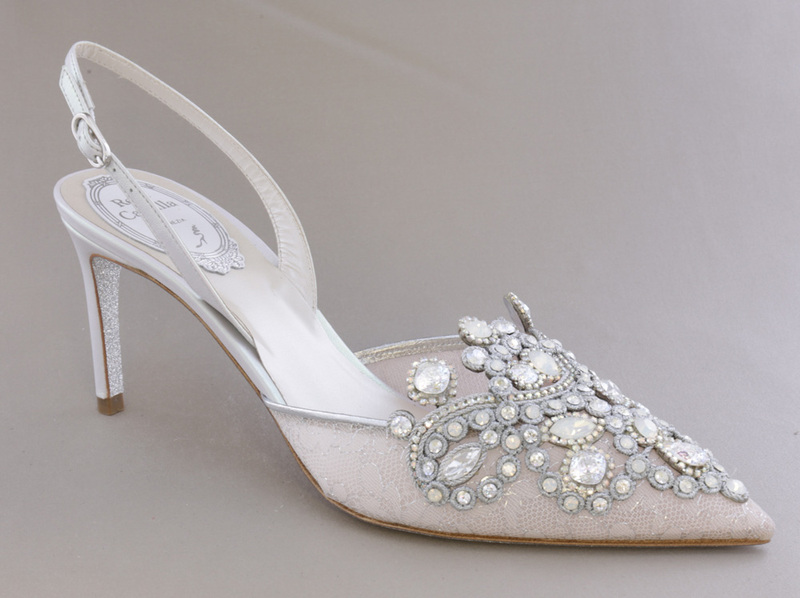 The storied shoe brand and the designer, who is known for clothes that exude femininity and elegance and celebrate the delicacy and grace of the female form, have created a limited-edition capsule of bridal shoes. Edoardo Caovilla, the Creative Director of the brand globally recognised for its timeless style and appeal, felt Alazzouni, was the perfect choice as they have similar aims. “Razan Alazzouni is an artist who shares our love for creating beautiful and intricate pieces which are designed to celebrate femininity,” he said. Alazzouni, who was born and raised in the Kingdom, was equally excited about the collaboration. "I have created a collection that merges Razan Alazzouni’s signature embroidery and Rene Caovilla's style to represent endless glamour,” the designer, who also likes to maintain a sense of playfulness in her designs, said. “I am proud to collaborate with them on a collection that complements three shoes I have chosen,” the graduate from The School of the Museum of Fine Arts at Tufts University added. Caovilla and Alazzouni selected three of the brand’s most iconic models, with the equally intricate and unique “Cleo,” “Regina” and “Veneziana” representing distinct bridal personalities. What’s more, they have made sure each striking design, customised with the finest embroideries, crystals and leathers, is comfortable to wear. All the shoes feature a 75mm heel specifically selected to enhance and facilitate what would undeniably be the most special day in the wearer’s life. 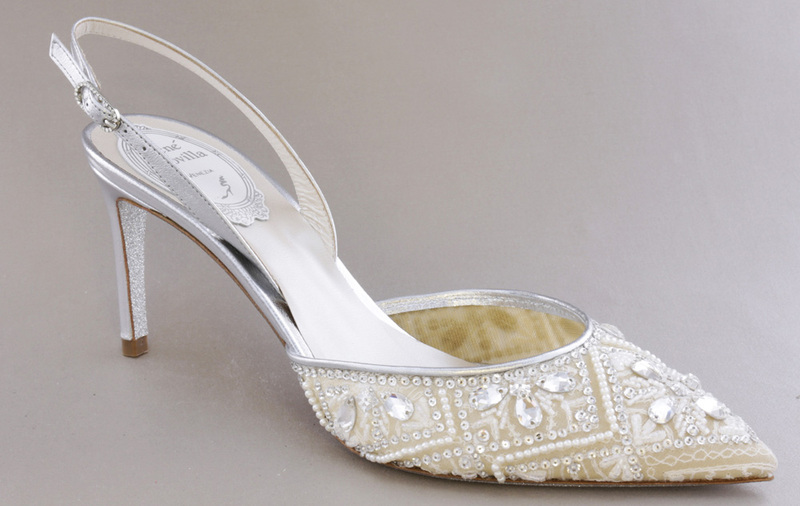 Alazzouni has given fans an added reason to rejoice with her bespoke demi-couture bridal capsule, which features embroideries and designs inspired by the shoes. Consisting of two gowns and a jumpsuit, the fashion capsule is a fashion representation of the footwear showcased within the bridal capsule. The shoe collection will retail exclusively on Farfetch.